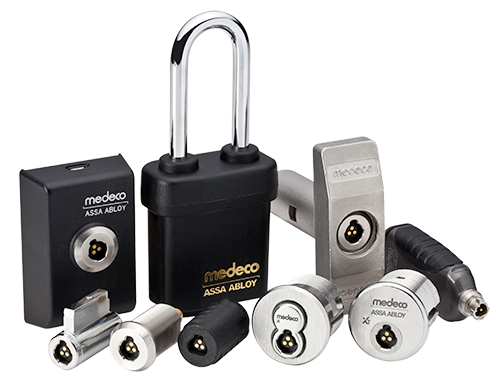 Medeco XT is a complete electronic locking system and Intelligent Key System providing Controlled Access, Accountability, Physical Security, and System Management. 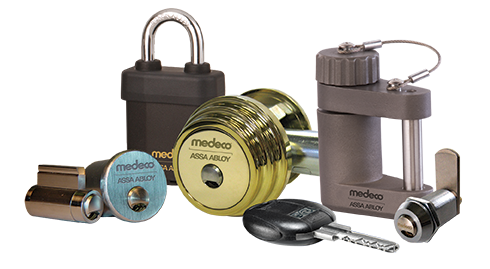 More than just a way to protect your property, equipment and assets, Medeco XT is also a business tool that can lead to a substantial return on investment. For additional information download our Nexgen XT Brouchure. M³ and X4 CLIQ offers a loss and liability solution that can be keyed into a Medeco³ mechanical system to provide the ultimate in flexibility. Medeco M³ & X4 CLIQ merge the features of electronic technology with reliable mechanical design – all in a retrofit cylinder. M³ & X4 CLIQ offer end users audit trail, user access schedules and the ability to quickly and remotely change intelligent key authorizations with the CLIQ WebRemote or CLIQ Connect App. M³ & X4 CLIQ installs with no wiring in a matter of minutes so intelligent keys and digital cylinders reprogram for electronic master keying. CLIQ can be combined with systems featuring Medeco3, X4 or BiLevel mechanical products to offer a blended security solution. For additional information please download our Medeco3 CLIQ brouchure. PROTEC2 CLIQ™ is a double-secured locking and access control system. Alone, it secures your operations and makes them more efficient, but by linking it to a mobile solution, you can gain even more advantages. 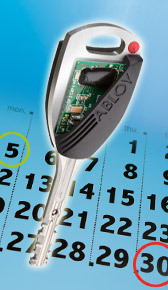 For Additional information please download our ABLOY Protec2 CLIQ brouchure. The mobile solution can help you raise the security of your location and the efficiency of your operations to an unprecedented level. When the system administrator changes an employee's access rights, the employee can update their smart key with the new rights through their smartphone. This makes updating quick, easy and efficient, which saves both time and money. In order to maximize security, the key's unlocking rights can be verified every time the lock is opened. Unlocking rights are downloaded to the key through a smartphone, and they are valid only until the lock has been opened. This way, a lost key is no longer a security risk. Can be linked to both new and existing PROTEC2 CLIQ™ systems. Keys can be updated with new access rights whenever and wherever. Utilizing the employees' own smartphones maximizes cost efficiency. Security risks from lost keys can be eliminated with real-time unlocking rights. A real-time access register can be utilized in resource management, for example.